M. Scott Burnette is a Southern-born artist raised in Greenville, South Carolina who attended the College of Charleston. Scott currently lives in the Sedgefield area of Charlotte, North Carolina. Artistic influences include Van Gogh, Monet, Kandinsky, and Rothko. Inspired by shades of blue and green ever-present in nature during Spring and Summer, Scott’s style includes impressionist abstracts, with attention to layering. Medium is acrylic on canvas or wood. 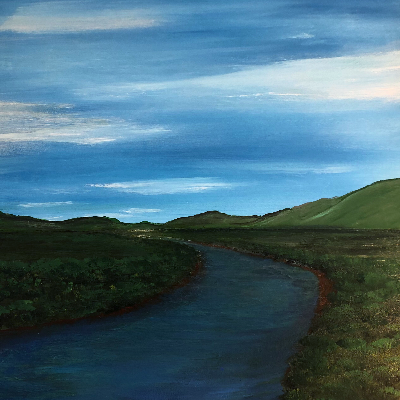 This collection focuses on fantasy landscapes blending influences of the Appalachian mountains and low country marshes. Other collections include still-life and large abstracts. 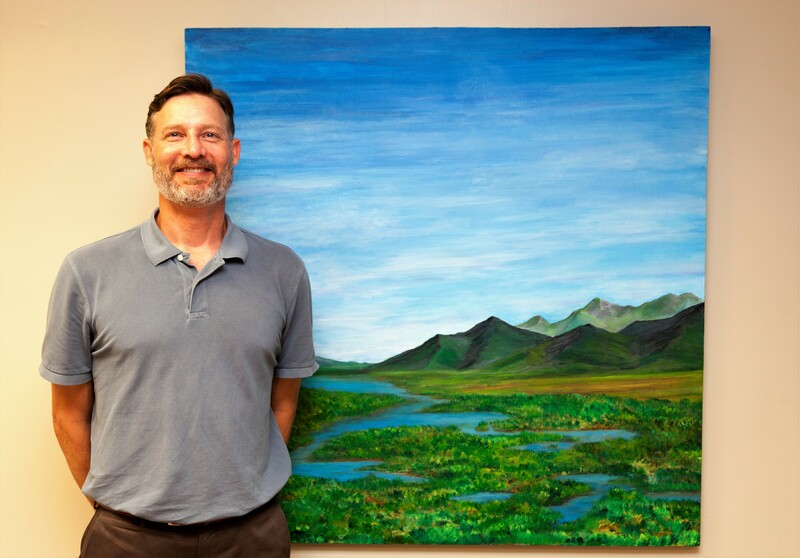 Lilac Realty is pleased to house some of M. Scott Burnette’s beautiful landscapes in our Montford Park office. Contact us to schedule a private viewing.